LOS ANGELES — With the signing of a new presidential directive calling for commercial space regulatory reform, the Commerce Department has released new details about its plans to create a “one-stop shop” for such issues. In a statement issued after the May 24 signing of Space Policy Directive 2, the department said it plans to combine several existing offices into a new office called the Space Policy Advancing Commercial Enterprise (SPACE) Administration. Ross has also directed Commerce Department agencies that deal with space in one fashion or another to assign a liaison to the new office. Those offices include the Bureau of Industry and Security, International Trade Administration, National Institute of Standards and Technology, NOAA and National Telecommunications and Information Administration. That office’s work, he added, would extend to promotion of the industry as well, particularly at the international level. “But as the agency charged with promoting job creation and economic growth, we will not engage only in oversight, but will support American companies so they can compete and lead on a level playing field,” he wrote. 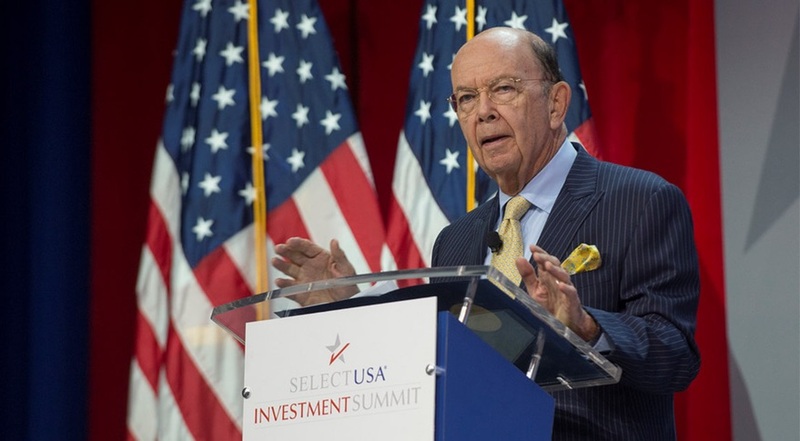 Ross has previously discussed including space in the department’s SelectUSA international investment forum in June. The latest schedule for the conference shows Ross holding an “armchair discussion” on commercial space and innovation at the conference June 22. The permanent creation of the SPACE Administration will require legislation, and the department said in its statement it is preparing a legislative proposal to do so. A House bill passed in April, the American Space Commerce Free Enterprise Act, already includes some of those measures. The Senate is planning its own commercial space bill but has not introduced it yet. One former government official involved in commercial space welcomed the move but added that it alone is not sufficient to address the bigger issues regarding coordination of government oversight of space activities. “That sounds promising,” said George Nield, former associate administrator for commercial space transportation at the Federal Aviation Administration, during a May 27 panel discussion at the International Space Development Conference here about improving management of government space activities.